Greetings from Tigers For Tomorrow! 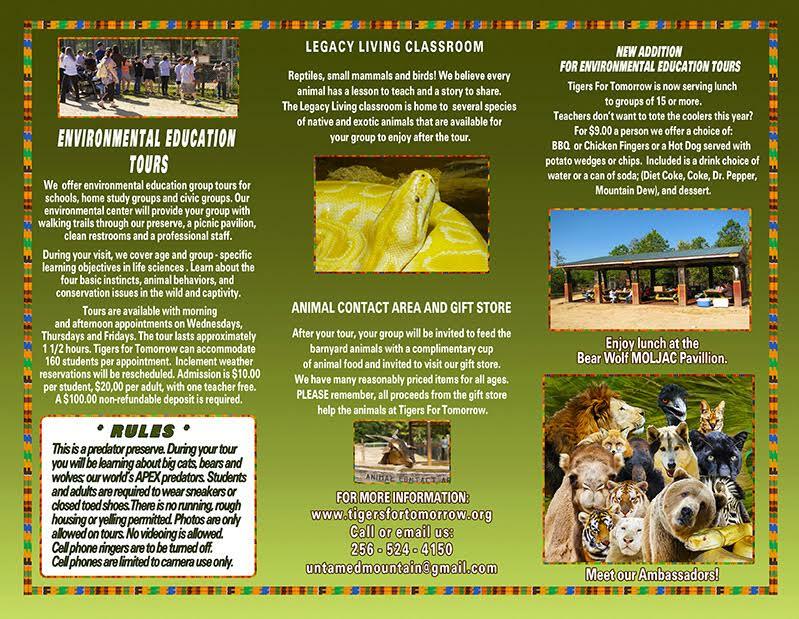 We wanted to reach out to the homeschools to offer an exciting opportunity to learn about natural instincts and be surrounded by extraordinary animals. Tigers For Tomorrow will honor a ticket price of $7.50 to students up to the age of 18, and $20 to adults. Attached is one of our new education brochures with information about your upcoming field trip and information about the lunches we now offer. Please make sure to call the phone number below with any questions or to make a reservation. Field trips must be reserved no later than November 30, 2017. 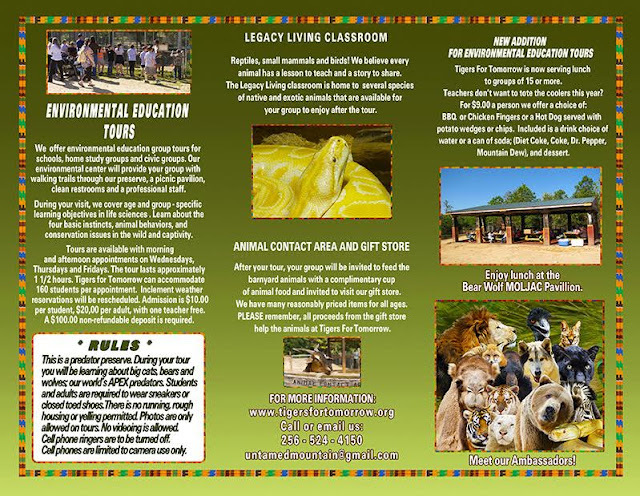 We look forward to seeing you at UNTAMED MOUNTAIN home of Tigers For Tomorrow for a roaring good time.